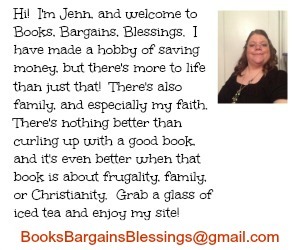 Books, Bargains, Blessings: Vacation Spots: Wednesday's Five Favs! 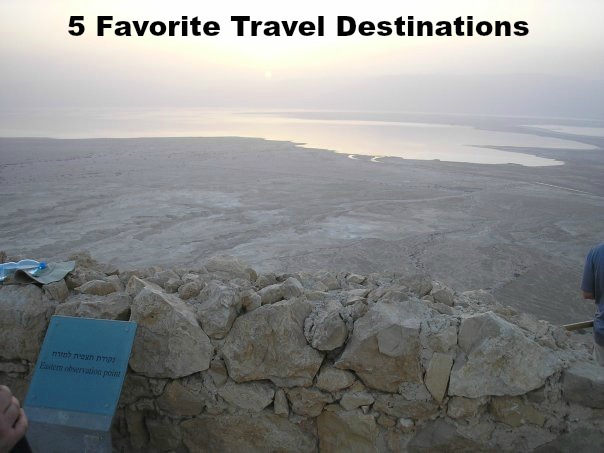 Vacation Spots: Wednesday's Five Favs! I love to travel. I didn't realize until I was in 4th grade that international travel was possible for an average person. My teacher that year had taught for a year in Australia, and he literally opened up the world to me. I had loved reading books about foreign countries, listening to records to hear what foreign languages sounded like, and instead of posters on my wall growing up, I bought National Geographics at a used book store for the maps inside. I've been to a number of countries, and it's really hard to say my favorite, so I'll list them in alphabetical order. Australia -- I think Bill Bryson said it best in In A Sunburned Country that you travel to the other side of the world in a metal tube (an airplane) and arrive in a place that speaks a form of English. The Australians are lovely people, so friendly, and the country is gorgeous. As I departed from Sydney, I watched outside the airplane window and thought, "Could Heaven be any more beautiful than this?" I visited Queensland, and spent a day at Lone Pine Koala Sanctuary. I was able to hold a koala (and smelled like koala for the rest of the day thanks to him deciding to use the bathroom on me), and I also was able to feed a kangaroo. Canada -- I wasn't sure if I should include Canada or not, because it's less than a day's drive from where I live, but my husband and I went up for an overnight in July, and had a great time. The American dollar goes further there, and the people are so polite. I love some of the foods there. (Poutine anyone?) We even made a trip to the grocery store to buy some foods not available in the USA such as Lay's ketchup flavored potato chips. We did our first international geocache find in Canada, and I expect it to be the first of many during our marriage. We love road trips, and I'm glad there is another country within driving distance of our home. Denmark -- This is an expensive country, but I loved Denmark. When in Copenhagen, I read Number The Stars and tried to imagine the history of the area where I was visiting. In Odense, I found a 400 year old grocery store (no longer operating), went to the Hans Christen Anderson museum (located in the house where he was born), and also took the train to Malmo Sweden for an afternoon. (Who goes to Sweden for the afternoon? Me! That's who!) Thanksgiving dinner that year was The Hard Rock Cafe in Copenhagen, followed by an evening at Tivoli. I'm not sure I'll ever have a more memorable Thanksgiving than that one. (Of course it was a normal work day in Denmark, but I was traveling with an American friend and so we observed the holiday in our own way.) One of my neatest cafe finds was a pizza parlor that had all their pizzas named after American States. Hungary -- Budapest is beautiful. When I was there the American dollar went a LONG way. It was fun to be considered extravagant tippers for a few days. We had an extremely helpful front desk clerk and gave him about $20 when we checked out, and he acted as if he'd never gotten a tip that large before. (He probably never had, when I was there it was about a week's wage.) I visited the synagogue and it really brought WWII close to home to see the items in the museum and the statue of Schindler. The people were wonderful, and a college girl we met on a bus said she wished she didn't have an exam that day or she would have shown us around. (I wished she didn't have an exam as well!) There seemed to be something interesting on every corner, and the friend with me laughed as we entered a used / antique bookstore. Being in a place with so many lovely books, and they were all in languages I couldn't read! 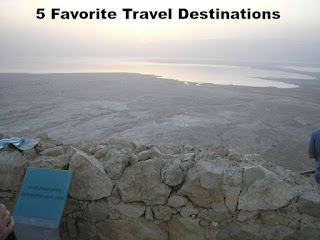 Israel -- Most people think of Israel as a place of religious pilgrimage. It is that, but so much more. There's resorts, city life, religious life, nature, and more. Ein Gedi was amazing. I loved sitting on a bench when an ibex decided to cross the path near where I was sitting. Of course, I visited the religious spots, my friends got swindled by a shopkeeper in Bethlehem. The food was amazing, falafel on every corner. I had some small cuts on my legs when I went into the Dead Sea, and let's just say I came FLYING out of there. So many interesting things to see and do. I was top Bible quizzer in my state my senior year of high school, and it was fun to see so many of the places I had learned about over the years. The history was amazing. You could ask almost anyone about some of the events in recent history. Our taxi driver was in tears telling us about the Six Day War. We also visited Yad Vashem, the Holocaust memorial in Jerusalem. We had dinner with a Jewish couple who invited us to their home after meeting us that day. I certainly hope I can return someday with my husband. 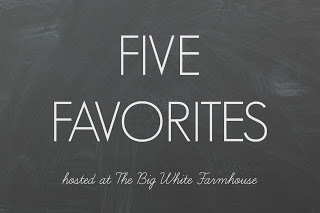 For more Five Favorites, head over to the link up at The Big White Farmhouse.